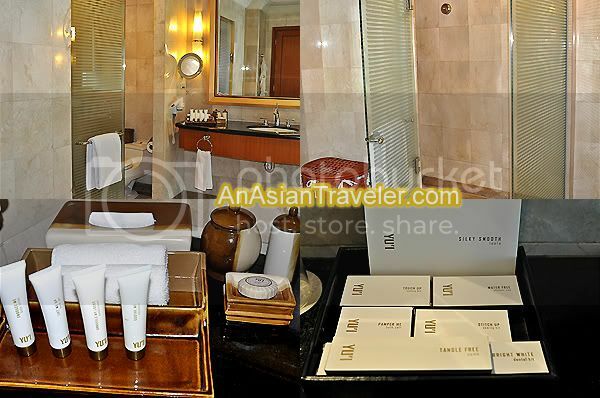 With all the inconvenience and confusion upon check-in, nonetheless, I totally love the spacious Pacific King Room (Php 9,000 per night) of Pan Pacific Hotel Manila. The floor to ceiling glass window with view of the city and the bay is awesome. This 52 square-meter room has a king-size bed with huge goose down feather pillows. 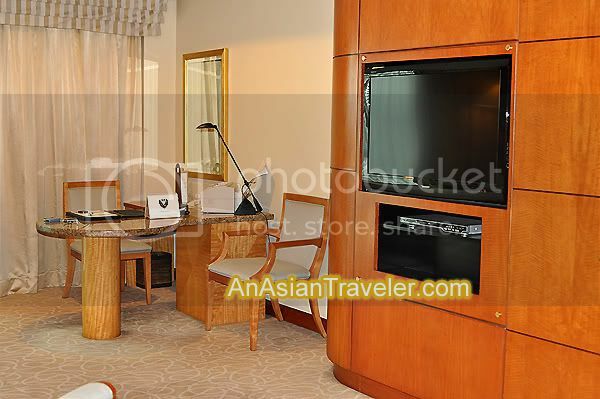 Good for large family since this room can be connected to a Deluxe King suite or Superior room. The large bathroom has glass encased walk-in shower but the shower fitting is a bit outdated. 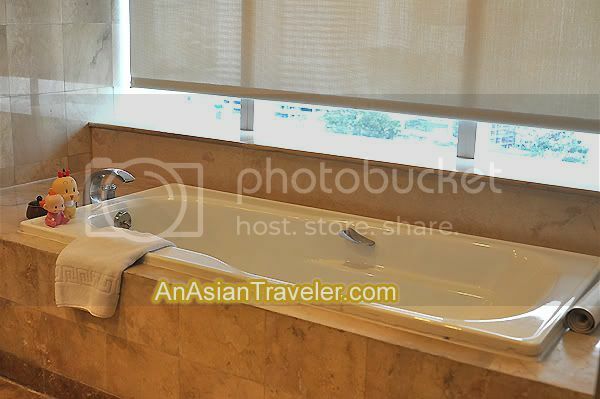 However, I love the window-side soaking bathtub with a flat-screen TV beside. Also, the glass window allows ample natural light and reveals a pleasant view of the city. 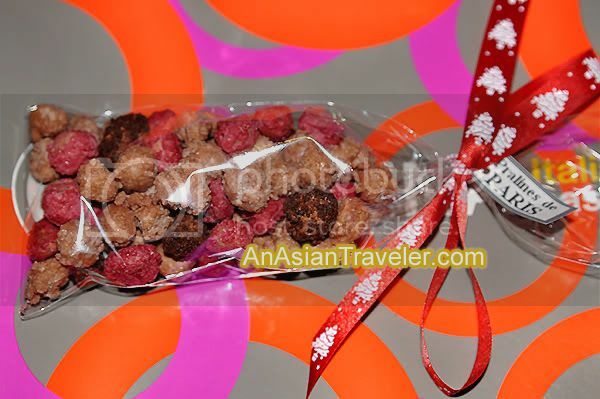 Oh, did I mention the hotel gave us a pack of Pralines de Paris. What a nice surprise! Since it was just the two of us (it would have been great if we went there with our family), we decided not to join the hotel's countdown celebration that entitles guests to a New Year's Eve buffet. So, there was no entertainment and food debauchery for us. The cheerless part, by the time we had our dinner, our take-out food was already cold. Eep! 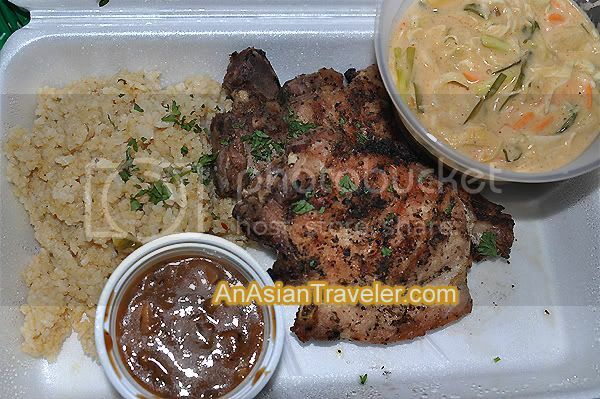 We had Grilled Pork Chops Grande from Gumbo (Php 495.00), pork chops marinated with special seasoning and spices. Cajun Fried Chicken Petite from Gumbo (Php 325.00), marinated chicken with Cajun spices and coated with seasoned mix, fried to golden. And Pizza Cappo di Tutti from Piadina Italiana (Php 380.00). It has chorizo, ham, bell pepper, mushrooms, onions, black olives and mozzarella in tomato sauce. But I'm not complaining. I was rewarded with the magnificent views of the city and the Manila Bay from our room on the 17th floor. It was a perfect spot, no obstruction from the nearby buildings except on the right side (but just a little bit). 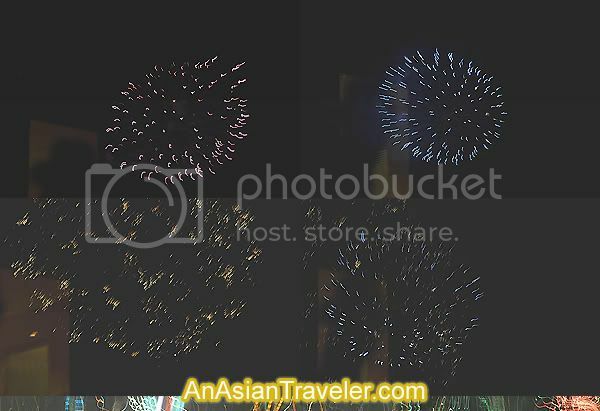 As the clock was ticking down to annual midnight festivity, wonderful myriad of sparkling colorful fireworks dotted the city. And boy, was it lovely! 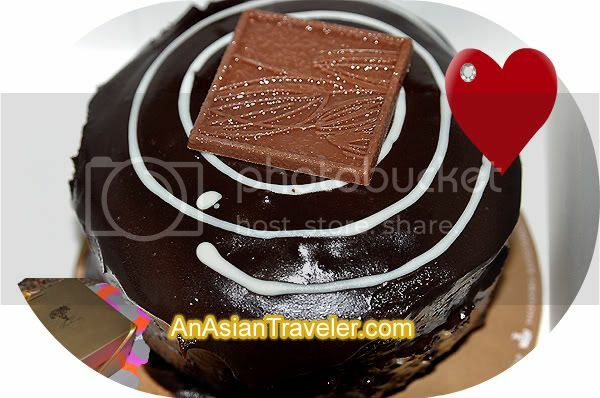 Then we had a little midnight snack, HB and I shared a delicious petite dark Chocolate cake covered with rich and indulgent Belgian chocolate from Theobroma (Php 165.00). 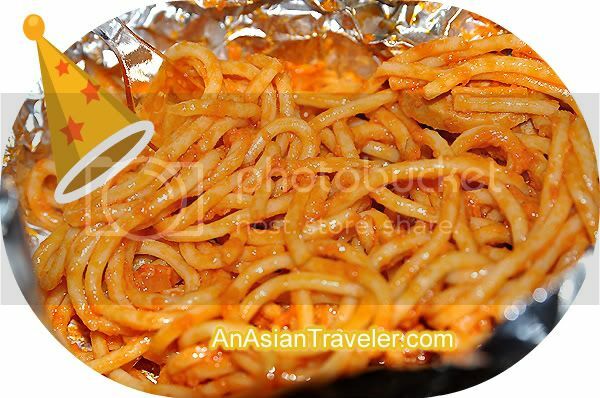 We also had Pasta Italspagna (Php 230.00) from Piadina Italiana. It has Italian sausage and Spanish chorizo in creamy tomato sauce. Oh, what a simple but perfect way to welcome 2011!